Speed of Sport athlete and UFC fighter Jake Ellenberger receives "Performance of the Night" at UFC 201. Speed of Sport athlete Rafael Dos Anjos defends his UFC Lightweight title via first round TKO against Donald "Cowboy" Cerrone. "Prince" Albert Pagara stops former World title Challenger Gonzalez in 6th round, retains his IBF Championship Title. World Champion Donnie Nietes defeats World Champion Francisco Rodriguez Jr. for his 8th successful title defense. Speed of Sport athlete Mark Magsayo smashes his opponent in the 1st round to defend his WBO Youth World Championship Title. "King" Arthur Villanueva gets a shot at the IBF Super Flyweight title when he faces World Champion McJoe Arroyo. Rafael Dos Anjos "dominates" Anthony Pettis at UFC 185 to win the Lightweight Title. Dana White talks about Rafael Dos Anjos' "Incredible performance" at UFC 185. Mark "Magnifico" Magsayo wins the IBF Youth World Championship via spectacular 6th round knockout. Fan Favorite Ruslan Provodnikov loses a close decision to Lucas Matthysse in an action packed fight boxing fans are already calling "The Fight of the Year"
USA Swimming Gold Medalist Conor Dwyer Cracks Top 15 in World in 200 free. 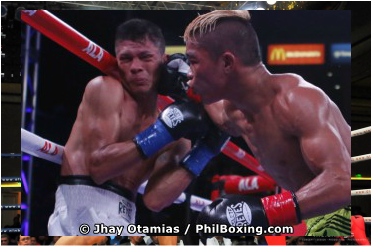 "Prince" Albert Pagara stays undefeated with 4th round KO of Mexican rival. 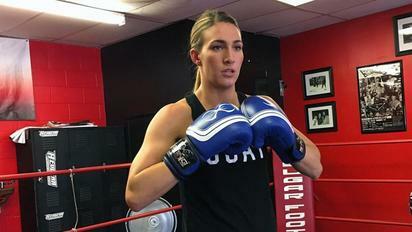 Mikaela Mayer is one of the best amateur female boxers in the word heading into the Olympic Games in Rio 2016. Rafael Dos Anjos knocks out Benson Henderson in the 1st round, earns K.O. of the week from the UFC. USA Wrestling sensation Aaron Pico wins gold again, this time at the Cerrado Pelado International in Cuba. 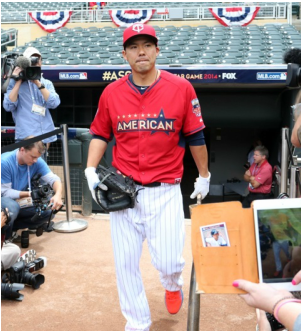 Minnesota Twins catcher Kurt Suzuki named 2014 MLB All-Star. El Segundo High School, Jamie Stewart breaks 6 school records and earns "Athlete of the Year" honors as well as a scholarship to Harvard. At only 18 years old Junior World Champion and USA Wrestling sensation Aaron Pico is already making big headlines. Branagan Fuller and her partner win EVP Volleyball Tournament in Savannah, GA.